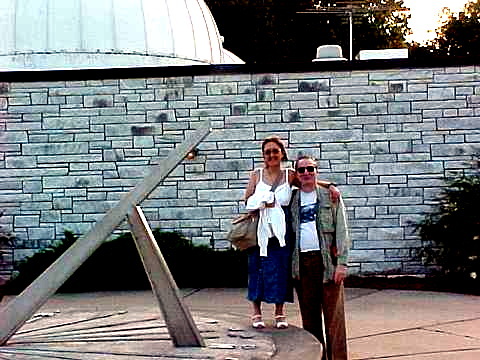 Mike and Laurraine Weasner visited Sperry Observatory on August 15, 2001. 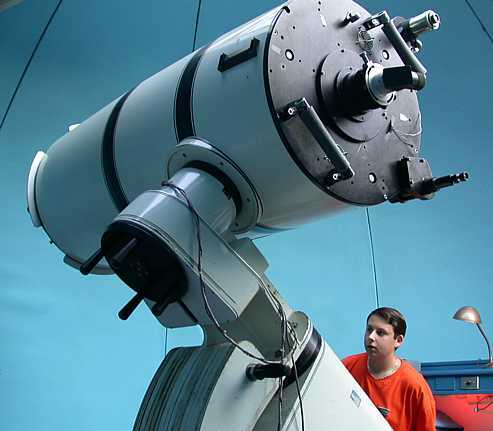 Mike has operated Weasner's Mighty ETX website since September, 1996. 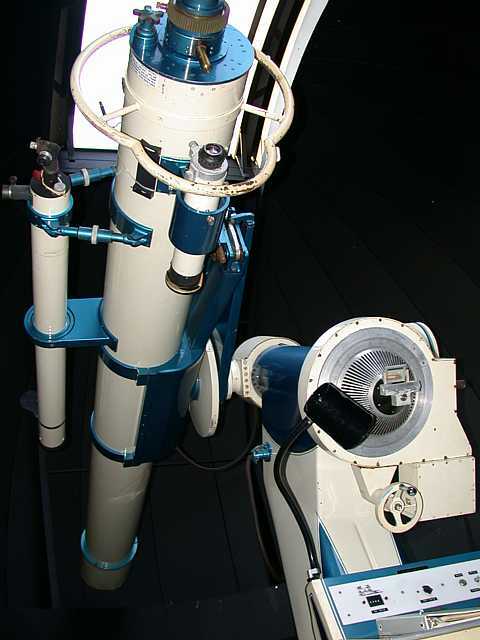 Mike's website emphasizes the Meade ETX line of telescopes, but it also gives very useful tips and techniques for the Meade LX-90 , the AutoStar robotic controller, as well as other information which is of broad applicability to amateur astronomers. 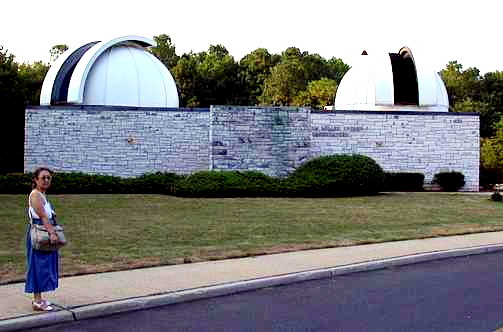 Mike Weasner has received the 2001 annual Astronomical Achievements Award from the Arkansas Sky Observatory. 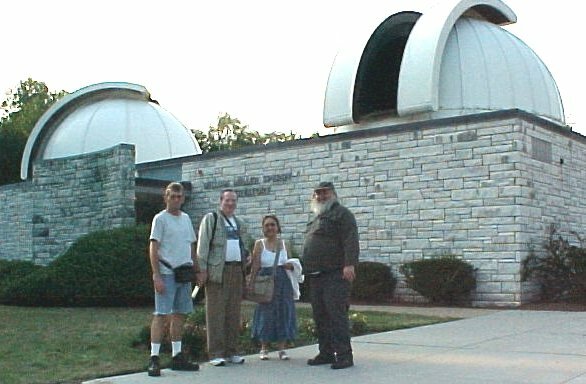 Joe Powell (at left) and Ray Shapp (at right) greet the Weasners in front of Sperry Obseratory. 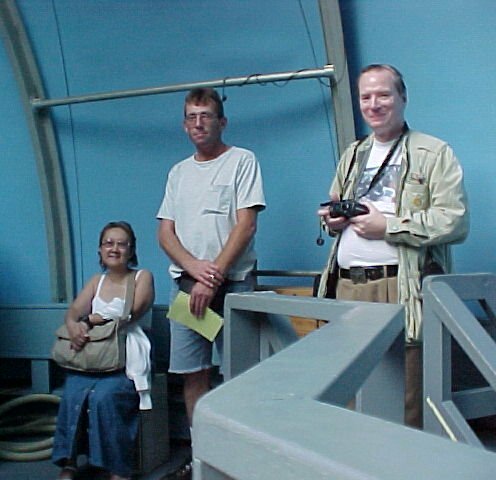 The Weasners and Joe Powell in the west dome which houses the 24-inch Cassegrain telescope.